Restaurants are always under a lot of pressure to impress and please their customers, and try and outdo their competitors. 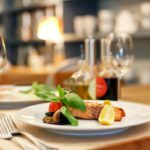 The average South African still views eating out as a real treat, so when heading out for a meal we expect it to be an evening of indulgence and spoils. Technology plays a big role in whether or not we get what we want when we venture out for a fancy meal. When the technology of a restaurant is out-dated or even non-existent it can affect the quality of service, the quality of the food itself and negatively impact the customer’s overall experience. With this in mind, we had a look at some of the current and forward-thinking technology trends in the restaurant industry. Reserving your table and pre-ordering your food online. Making a dinner reservation online has become commonplace and many restaurants have introduced this function. It is usually followed up by an SMS notification or a phone call to confirm the booking. However, the new emerging trend is to not only book your table online, but also order your food and drinks. This means that your food and drinks could be ready for you as soon as you arrive at the restaurant. Let your smartphone take your order and get the bill. Using smartphones for payments has become extremely popular as of late, but the new trend is using your smartphone to place your order too. This gives you complete control of your order and you won’t have to wait on a server who is spinning five other tables during peak hours. The order is sent straight through to the kitchen and eliminates the use of paper. This is a far more efficient way of ordering in a restaurant. Modern restaurants think big with big data. Big data is the topic de jour in restaurateur circles. Big data has proven very useful in instances of supply chain management within the restaurant industry. However, it is showing its true value by providing a wealth of insight into the wants and needs of restaurant customers. Restaurants are able to use big data to vastly improve their patrons experience in their establishment and create a following. Many times this data is used in the form of a loyalty program and the like. The juicing trend is here to stay and your need the equipment to get it right. Juicing was thought to be a fad but it appears like it’s here to stay. While this is not so much a technology trend, if you own a restaurant, you had better equip yourself with the latest and greatest in juicing technology. People all over are opting for freshly squeezed, multi-flavoured juice over cocktails and milkshakes. Contrary to popular belief, juicing is not simply squeezing some fruits for their sweet nectar but rather a process of liquidising all types of fruits and vegetables into a super healthy sludge. A restaurant keeping up with technology trends is nothing if not clean, hygienic and pest-free. 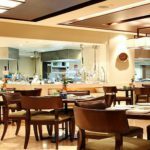 The Specialists are expert in contract cleaning and pest control for restaurants and during our time we have seen many a restaurant lose an inordinate amount of money because of a pest infestation or sub-par hygiene standards. Keeping up with technology trends is paramount to running a successful eatery but so too is restaurant cleaning and professional pest control. To find out more about what The Specialists can do for you please don’t hesitate to contact us directly so we can assist you in creating a restaurant that is profitable with an excellent reputation. 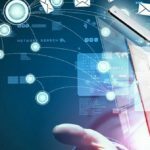 The changing face of technology: top trends in the retail industry.